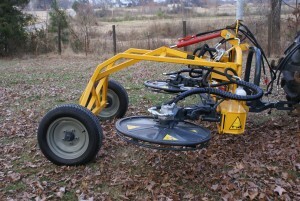 Dual-Sided Mowers With Telescoping Frame | Butler Equipment, Inc. 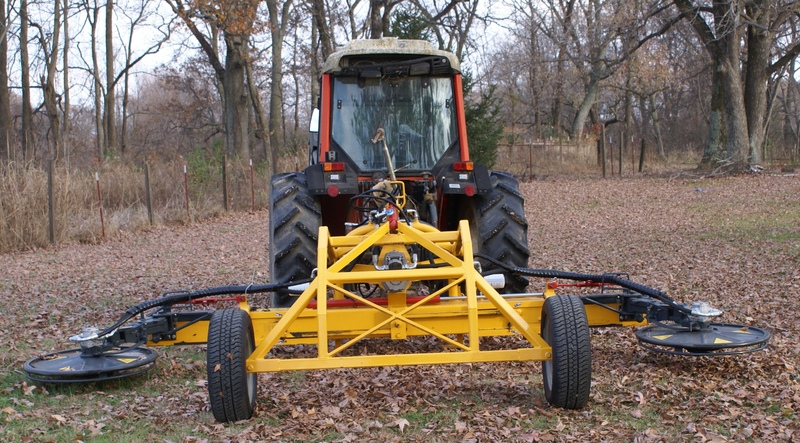 This version has a frame telescopes hydraulically to mow rows that vary in width by about 39 inches. 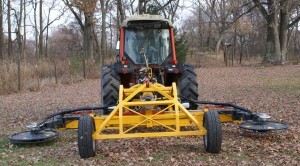 Optional hydraulic elevation to mow berms, but does not mow the middles.